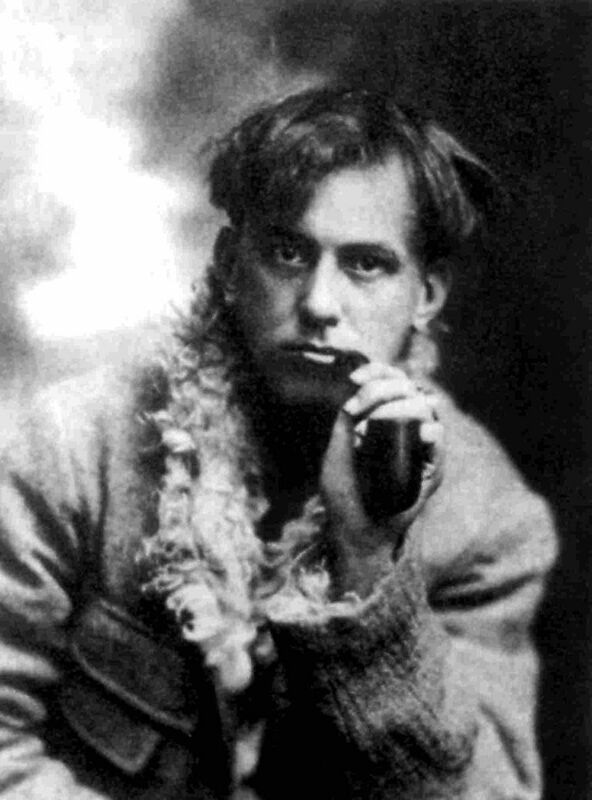 Born Edward Alexander Crowley on October 12, 1875, he is primarily known for his occult writings and teachings. He founded the religion of Thelema, which became adopted by the Ordo Templis Orientis (O.T.O.) as well as the magical order Argenteum Astrum, or A:.A:., the Order of the Silver Star. He was also a highly controversial member of the Hermetic Order of the Golden Dawn, where he was known by the magical name of Frater Perdurabo. Crowley's lifestyle was absolutely shocking in the era in which he lived. Besides his interest in the occult, he was sexually promiscuous with both genders (at a time when homosexuality was still illegal in Britain), frequented prostitutes, was vocally defiant against Christianity and Victorian and post-Victorian prudishness toward sexual subjects, and was a drug addict. While Crowley detested Christianity, he considered himself an immensely religious and spiritual person. His writings record incidents of experiencing deity and Thelemites consider him to be a prophet. In 1904, he encountered a being known as Aiwass, described as a "minister" to Horus, the central deity in Thelema, and as a Holy Guardian Angel. Aiwass dictated the Book of the Law, which Crowley wrote down and published, becoming the central Thelemic text. Crowley's beliefs included pursuing the Great Work, which included gaining self-knowledge and uniting with the larger universe. He also encouraged seeking out one's ultimate destiny or purpose commonly referred to as one's True Will. Crowley studied a number of different religious and magical belief systems including Buddhism, yoga, Kabbalah, and Hermeticism, as well as Judeo-Christian magical systems, even though he outright rejected Christianity and published multiple anti-Semitic statements, as was a common outlook of his time. "Wickedest Man in the World"
The press dubbed Crowley the "Wickedest Man in the World" and repeatedly published exploits both real and fictional. Crowley adored controversy, often describing his already scandalous behavior in even more offensive terminology. For example, he claimed to sacrifice 150 children a year, referring in fact to ejaculations that had not resulted in pregnancy. He also referred to himself as "the Beast," referencing the creature mentioned in Revelations, as well as representing himself with the number 666. The fact that Crowley did write about summoning and commanding of demons, which he considered an exploration of the self rather than a working with literal beings. L. Ron Hubbard, ​the founder of Scientology, described Crowley as a good friend, although there's no evidence the two ever actually met. They did have an associate in common, Jack Parsons, and all three were members of the O.T.O. Gerald Gardner, the founder of Wicca, was certainly influenced by Crowley's writings, going so far as to sometimes plagiarize Crowley's words and rituals. (Most of the blatantly Crowleyesque material was later reworked.) There is​ a record of the two men actually meeting only twice, both within the last few months of Crowley's life. No evidence supports the suggestion that Crowley created Wicca as a joke.